​THE future of Rabbi Pinchus Feldman as a member of the Rabbinical Council of New South Wales (RCNSW) hangs in the balance after a formal complaint was lodged against him this week by child sexual abuse victims’ advocate Manny Waks. The complaint, which was made to RCNSW president Rabbi Eli Cohen, has seen four out of five RCNSW executive members – Rabbi Cohen, Rabbi Yehoram Ulman, Rabbi Eli Feldman and Rabbi Chaim Ingram – step aside in relation to the matter, with the rabbis citing a conflict of interest. As a result, executive member Rabbi Paul Lewin will appoint a committee to address the complaint “in due course”. 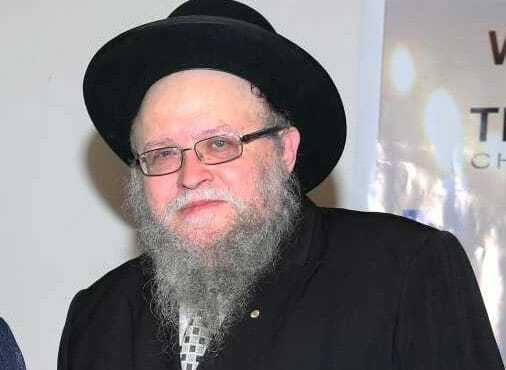 In an email to Rabbi Cohen, Waks said that Rabbi Pinchus Feldman “did not fulfil his moral, religious and legal responsibility to protect children, and was a party to conduct that denigrated victims”. The complaint comes after the Rabbinic Council of Australia and New Zealand (RCANZ), Rabbinical Council of Victoria (RCV) and RCNSW publicly stated that those who did not fulfil their legal responsibility to protect children should “stand down from their public positions”, and that “those who denigrated or undermined the victims have lost their moral right to serve”. “Accordingly, consistent with the statement of the RCANZ, RCV and RCNSW, it seems clear that Rabbi Pinchus Feldman has lost his moral right to serve the community and should step down from all his public positions, including as a member of the RCNSW,” Waks wrote. Earlier this month, the Royal Commission into Institutional Responses to Child Sexual Abuse found that as dean of Yeshiva Bondi, Rabbi Pinchus Feldman “did not take any steps to inform anyone that AVL [an alleged perpetrator] was contemplating leaving Australia”, and that he had “not undertaken any formal training in respect of child sexual abuse”. The commission also found that there was “no formal written policy at the time that set out what was to occur if a complaint about child sexual abuse reached him [Rabbi Feldman]”, and there were “no formal policies in place at Yeshiva Bondi that required complaints to be recorded or set out what should be done in response to complaints”. Contacted by The AJN on Tuesday, Rabbi Feldman said he was not aware of any complaint against him and was not prepared to comment.